Finally, I stayed in Israel much more longer than my expectation. In Jaffa, the life is so relaxed and simple, what to do everyday is to be lazy and easy. No need to care about the date of day, just let the time run away from hour to hour. Because I have nothing but time - the only thing I can spend crazily. Laziness not only means that less is more; laziness also means that less is better. 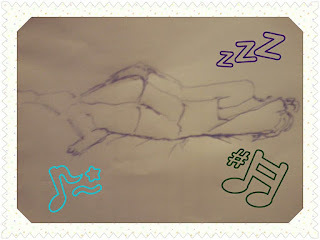 Perhaps we should learn to be lazy at the appropriate time, that can make our life become more colorful and meaningful. If you do not appreciate laziness, which may also be a loss of life. If you're lazy, then the choice is simple - Do less. But do it smartly: the lazy person makes every second count when they're doing something. Sitting in tranquility to do nothing. Relax a little, smile more and be happy. Do less and live a calmer and more peaceful life. I know, these days will soon be over, but the joy Im seekng is already with me. Live in the present moment, remember the life in Jaffa and all I really had in Jaffa. I am the expert of LAZY!